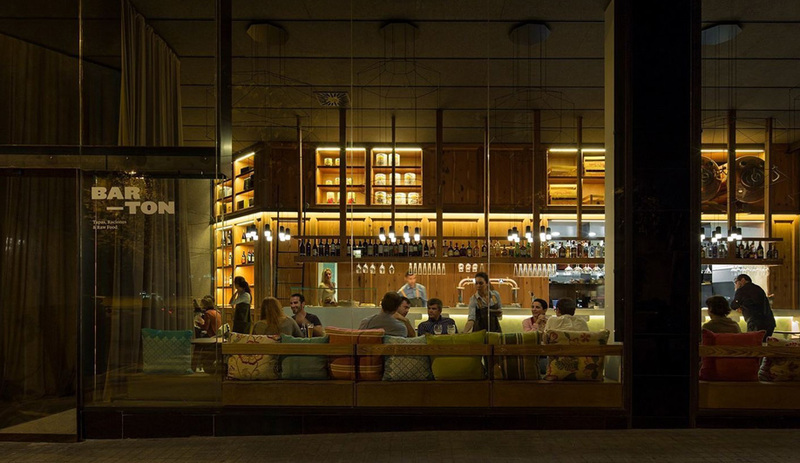 Vibia’s Wireflow pendants, a 2015 AZ award winner, transform the cozy Spanish tapas spot Bar-Ton. 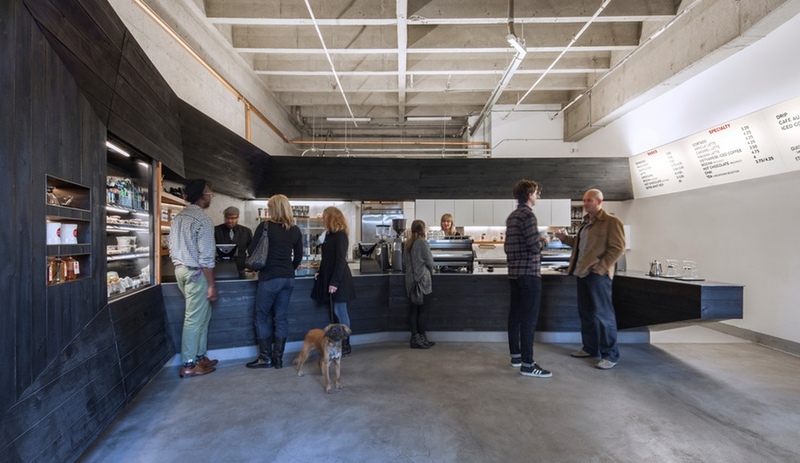 Coffee Bar Kearny, designed by jones | haydu, adds a jolt of energy to a tired part of the city, and serves up barista culture inside a dramatic scorched-wood interior. In the land of lasagna and osso buco, Mantra is the first raw-vegan restaurant. Besides kale chips and dairy-free desserts, the Milan eatery also serves up a lovely environment with a fresh graphic identity. 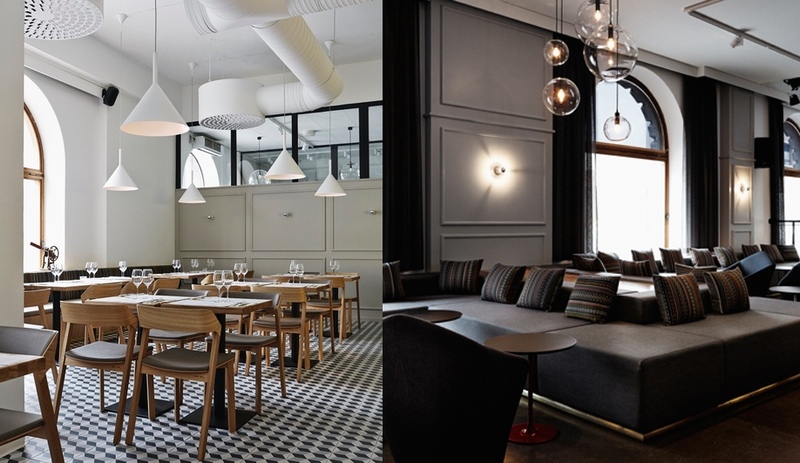 Interior designer Joanna Laajisto balances lightness and sultry darkness in devising two spaces in one establishment that work together harmoniously. 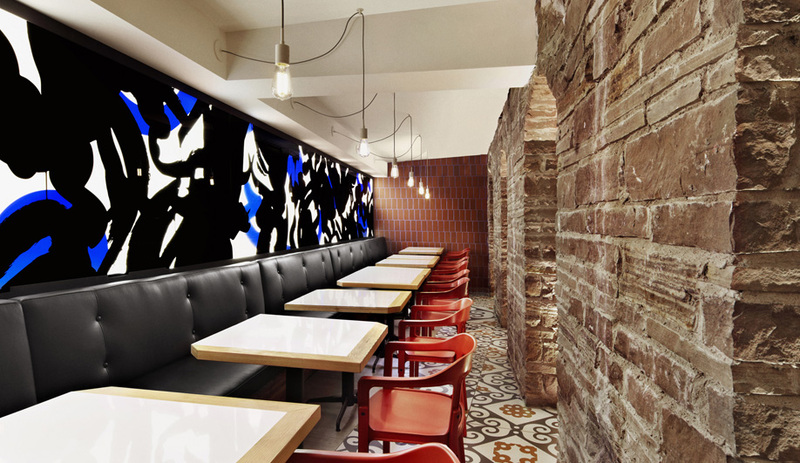 Amanda Levete Architects designs a restaurant – open until February 2015 – that serves nothing but seafood from tin cans. 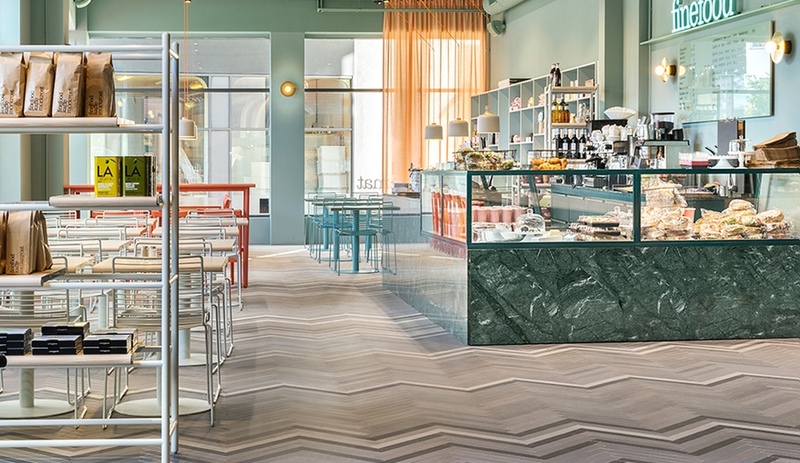 Finefood, designed by Note, serves up everything from coffee to dinner in a calming pastel eatery inspired by photographs of America’s Death Valley. 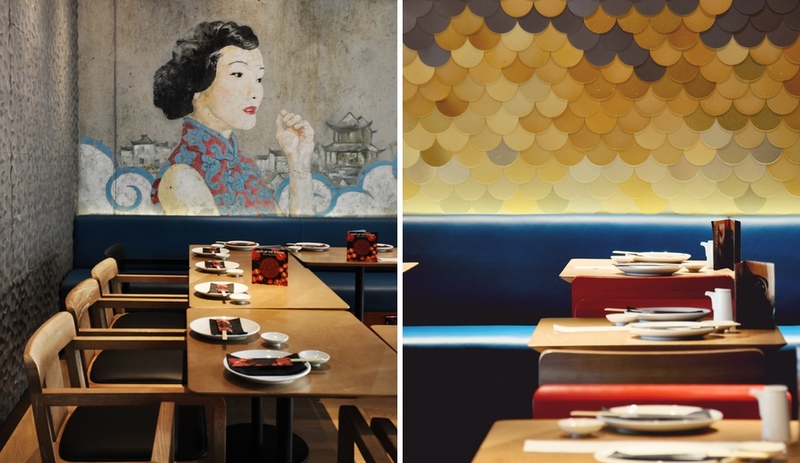 The Chinese restaurant brand summoned Superfutures to create an interior with a Shanghai-chic vibe. 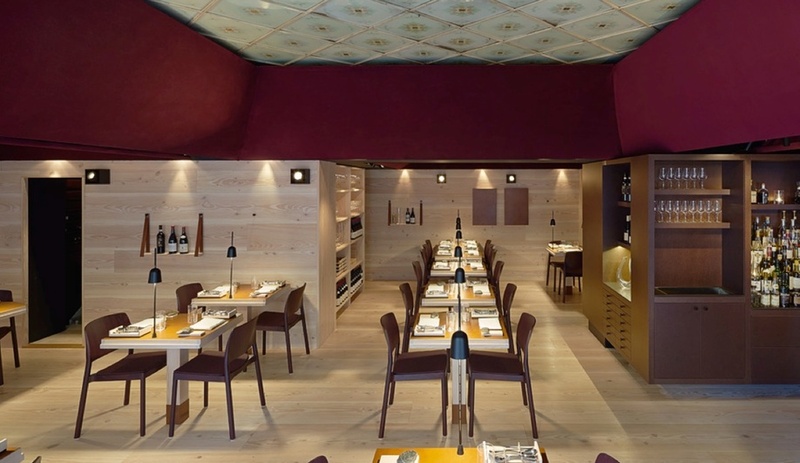 Koko restaurant, in Gothenburg, Sweden, takes a new, simpler approach to fine dining. 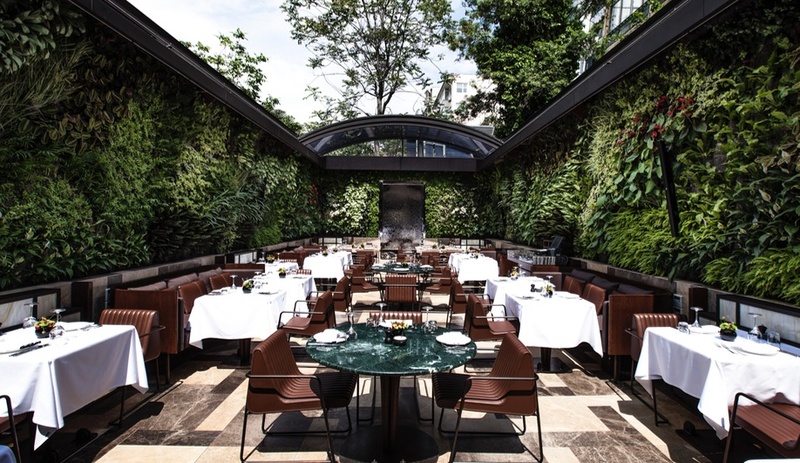 The local firm has designed Nopa, a new restaurant in a fashionable neighbourhood, with extravagant interior and outdoor spaces.